While looking through my unbuilt collection of models I came across a few other boxes. These boxes fell into three categories. The parts box, the scratch building box and the other box. What is all this stuff and where the heck did it all come from? 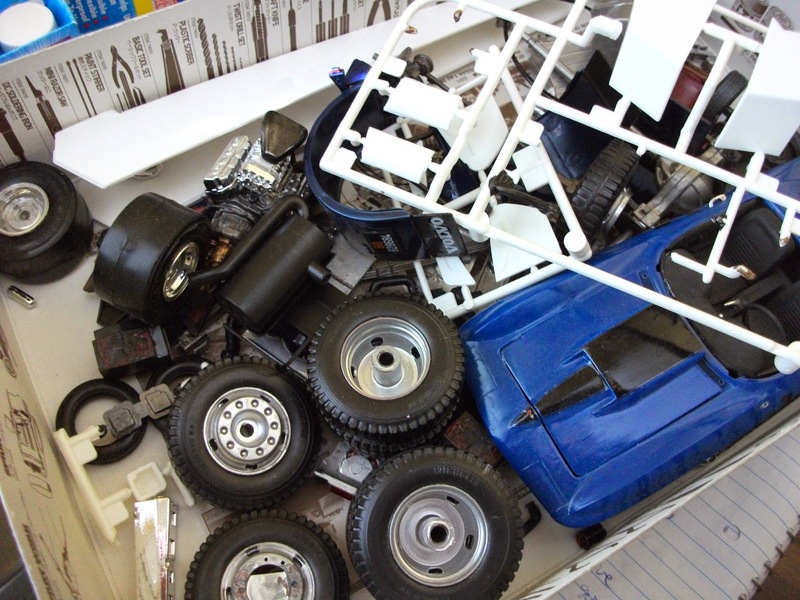 The parts box or the spares box (there are probably just as many names for this as there are modellers–partners of modellers probably call this the box of crap, but that’s another story) came about from the extra parts that are included with models. 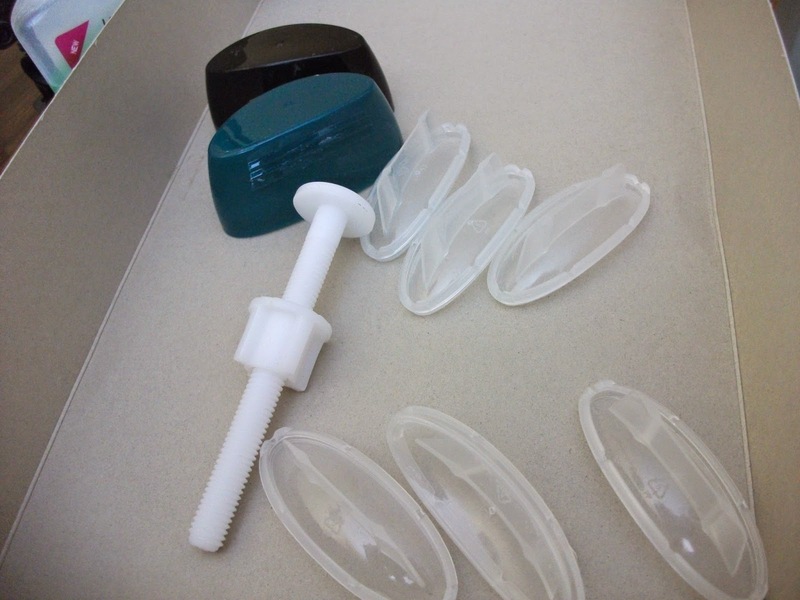 Some models have different parts because they can be build different ways (the 2 in 1 or the 3 in one model). I have a 57 Fairlane that can be built stock/custom/or with optional parts. 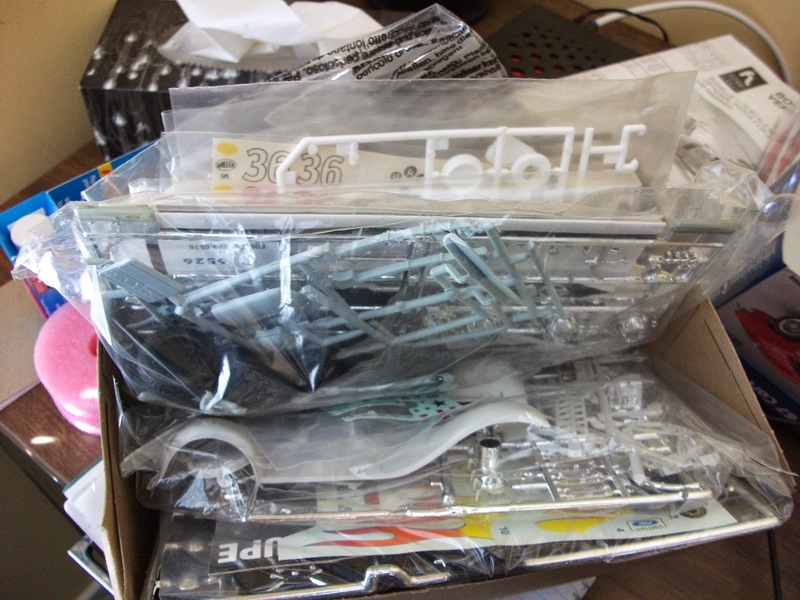 Some have parts left on the parts tree from earlier versions of the model kit. I have drag bars because one of the 66 mustang kits I’ve built had a previous life as a dragster kit. I couldn’t throw them out, so now their in the parts box. The scratch building box is collection of stuff that I thought might one day might fit into my models. Often I think of building unusual train car loads, or wild science fiction ships. This probably came about from searching out the stuff under the title Maschinen Krieger, or watching the great Japanese TV show Plamo Tsukurou–if you haven’t done so, you should check both of them out. Either way, I suspect all modellers look at stuff destined for the trash or recycle box the same way. The last box, which I have labelled the other box, in my case is a bunch of models that I have decommissioned. Maybe they fell from their shelf in cleaning. Maybe they broke in one of the many moves I made. Maybe they weren’t as well done as I would have liked and became euthanized. In the case of one of my top fuel dragsters, I broke some pieces putting it together and became so frustrated that I stopped building it and sent the strong parts to the box. So what am I going to do with all of this? Besides the aforementioned flatcar loads, I have the same dream as many modellers do. I plan (and plan is a good word, as it may never get beyond the planning stage) to build a great diorama. These parts will look excellent it that. These parts will make that diorama look amazing…I hope. This diorama will most likely be some kind of car shop diorama. The extra car parts (the tires, the engines, the seats, should all fit in perfectly. So I guess that means I will be holding onto them for a little while longer. What about you readers? What do you do with your parts boxes? I would love to see some examples. This entry was posted in 2 in 1, 3 in 1, building, diorama, engines, extras, future, garage, goals, kits, models, new, plans, scale, scratch building, spare parts, tires, unbuilt by Anthony. Bookmark the permalink. Just to let you know that I found your blog.